It was such an honour to have been invited to Somewhereto_’s stakeholders show on Thursday morning, including attendees from Big Lottery Fund (BIG), various business owners, companies, brands, and investors. We were given the limelight on stage through a mini Q&A session about Stitch & Story’s woolly venture and a mock-up high street was created by The Little Big Garden design team including a giant ball of yarn, spool, and needles! Other great start-up businesses who took part in the event included Pause Magazine, Something About Elizabeth, Bluebird Tea Company and The Hip Hop Orchestra (with live art work provided by young people Morgan Davy and Valery Pannetier). The event was to showcase just some of the fantastic work Somewhereto_ have helped over the past years including supporting entrepreneurs like S&S, as well as musicians, performers and artists, by giving them a platform/space to realise their dreams. 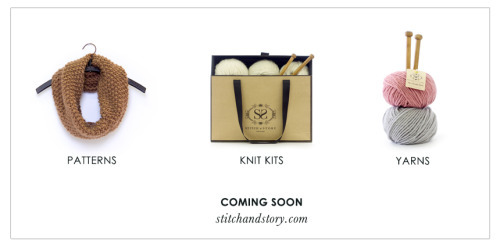 For Stitch & Story, Somewhereto_ was there for us right from the beginning when all we had was one great idea and some beautifully knitted products. By giving us free trading space at Spitalfields Market, we were able to test our business idea and gain real customer feedback before jumping headlong into business. 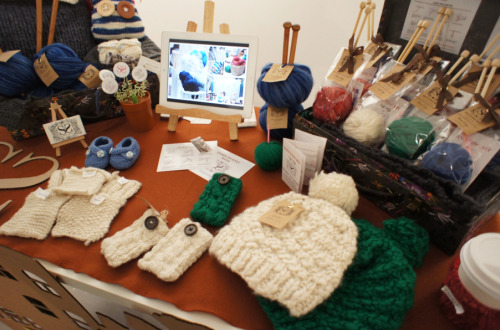 This subsequently gave us the confidence to turn our passion for knitting into a real business plan. We then began successfully selling through different channels including online on Etsy, Things British in Carnaby Street, as well as knitting personalised commissions via our Facebook fan page, and holding knitting classes! The ongoing support and encouragement from Somewhereto_ was so important to making all this happen, especially in today’s current economic climate. For the full article about the event and about Somewhereto_, click here.